April 21, 2015 bcalvanocoachingLeave a Comment on Weekly Spiritual Messages and Life Coaching for April 20 through 26. Weekly Spiritual Messages and Life Coaching for April 20 through 26. This week I was guided to use the Flower Therapy Oracle Cards by Robert Reeves and Doreen Virtue. I am soon receiving my certification as a Flower Therapy Healer. If any of you have seen my Facebook of Instagram posts you know how passionate I am about flowers! It was a perfect match for me to study this area as it combines my true love of nature and angels. I will be posting my services as a Certified Flower Therapy Healer in addition to my other services shortly! With Spring providing us with a banquet of flowers it is a perfect time to embrace their beauty and powerful healing energy! If it is a time for allergies for you, ask the angels for guidance to find the most natural remedies and solutions for this problem. I know too many people who are unable to enjoy the great outdoors and seasonal beauty because of pollen. There are natural ways to address this issue and even have it hugely subside. I will write about it next week. Working with the flowers is a focused gateway to more easily connecting to your angels and divine spiritual nature. Connecting with flowers is a very simple yet effective way to gain access to peace, clarity and empowerment. When we are in nature or looking at pictures of flowers we are connecting to their high vibration. We know of their beauty and comforting effects yet they also have specific spiritual messages and chakra balancing abilities. Whether you have the actual living flower with you or a photograph, they both have the same ability to convey their loving healing powers! Flowers are Heaven’s gift to us as natural healing plants. This week we have have some special messages from them to support us in our lives. For the beginning of the week we have a message from the Carnation:” Trust”. You can trust the people around you. They are Earth Angels sent to give you the guidance you seek. Whether it is with a love relationship, friendship, or work situation know that you can trust those around you at this time. Many of us are going through life major changes since the beginning of the year. With this energy always comes the normal recognizable growing pains. Though sometimes when this transition period lasts longer than we expect or even more problems, issues, delays or circumstances arise, it can be easy begin to doubt ourselves or even mistrust the people around us. True change can also bring up any unresolved issues of trust from the past. And yet, this can be a life changing moment of soul expansion and transformation. Allow yourself to know you are always surrounded by the loving protection of the angels and God. What you are dealing with may very well be a blessing in disguise! You may actually end a lifetime (or lifetimes) cycle of struggle in an area of your life once and for all if you can learn to let go. Allow Archangel Michael to cut any cords you may have to this situation or persons. Allow the emerald green healing energy of Archangel Rapahel to heal those cut cords. There are loving Earth angels or people in your life who are here to assist you in making your life easier! 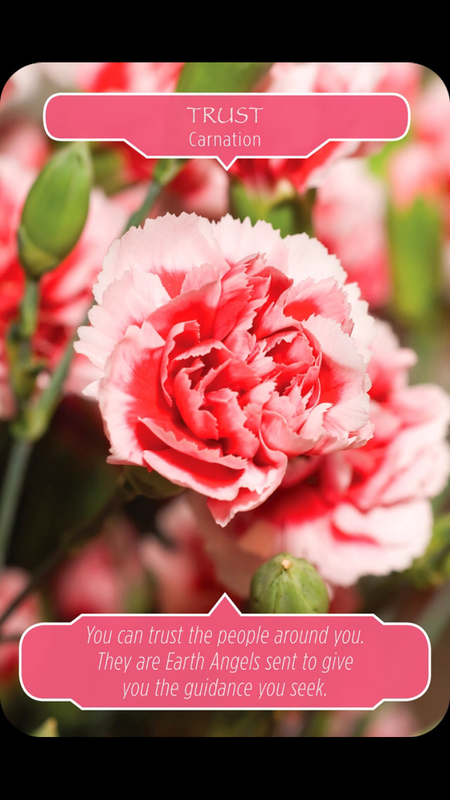 Use the Carnation to assist you in trusting life and its support! 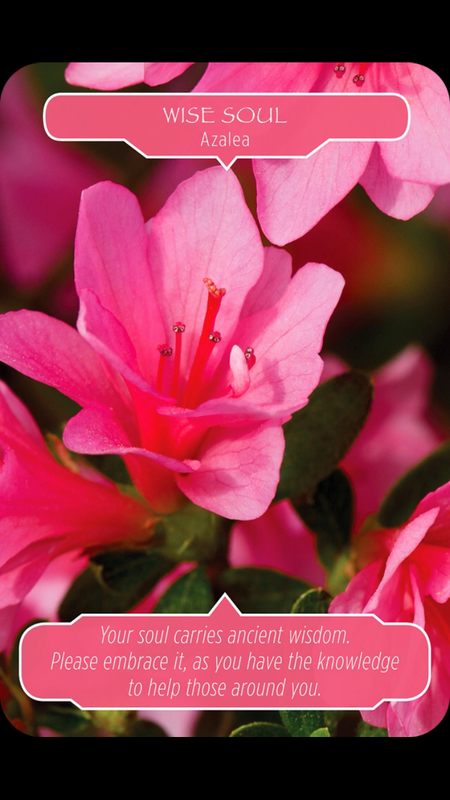 For the middle of the week we have a message from the flower, Azalea, “Wise Soul”. Your soul carries ancient wisdom. Please embrace it, as you have the knowledge to help those around you. We addressed trust in the first part of the week and here we go deeper with tapping into our divine wisdom. The Azalea acknowledges we each have a connection to the Akashic Records or ancient file of information that holds all we need to know in this this lifetime and more. It includes our life purpose and all the skills to accomplish it. An effective way to access this is through meditation. Take the time to get quiet and allow that information to emerge for you. By being peaceful you will access the answers. Your soul has been around for many lifetimes and carries such knowledge. Trust and embrace that all you need to know is available to you in your quietude. We are being recognized as wise souls. Allow that knowledge and wisdom to comes forth so we can share it with others. For the weekend we have a message from the flower, Baby’s Breath: “Magnify Your Intentions.” Choose a specific goal to work toward. Your energy is spread out among too many ideas. Please bring your focus back to the key intention and let your angels help. 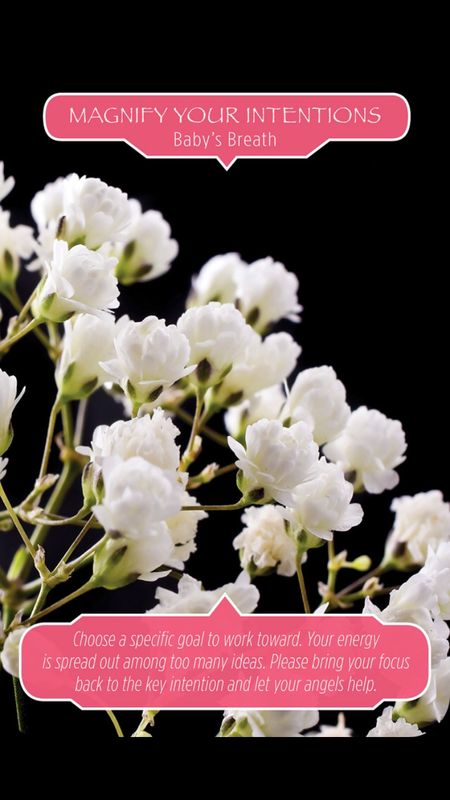 You know how Baby’s Breath is often placed in flower arrangements as it then magnifies the other flowers surrounding it. We are being asked to prioritize our goals, be more specific and and they will be energized by the angels. Know that your prayers have been heard. Take the specific actions you know will make a difference towards manifesting them. Then allow the Baby’s Breath to let focus on those dreams and goals to unfold beautifully. This week we have nature’s flower messengers, the Carnation, Azalea and Baby’s Breath to assist us in our lives. As we learn to trust that support and help is all around us we can relax more. By taking the time to meditate the answers that we are seeking come forth. By focusing on our priorities we gain ease and flow in our actions. Allow the guides of nature to serve you as you serve the world! Sessions are by phone, Skype barbara.calvano10 or in person in Manhattan by appointment only. http://www.awakenfair.com 10am-5pm Sheraton Stamford Hotel, 15 & 30 minutes readings Pre-book to receive a discount. Join me on Sunday May 3rd from 1pm to 4pm in New York City. You will learn: About the 15 Archangels including Michael, Raphael, Uriel, Gabriel, Metatron and more and their unique loving and specific roles in our lives. 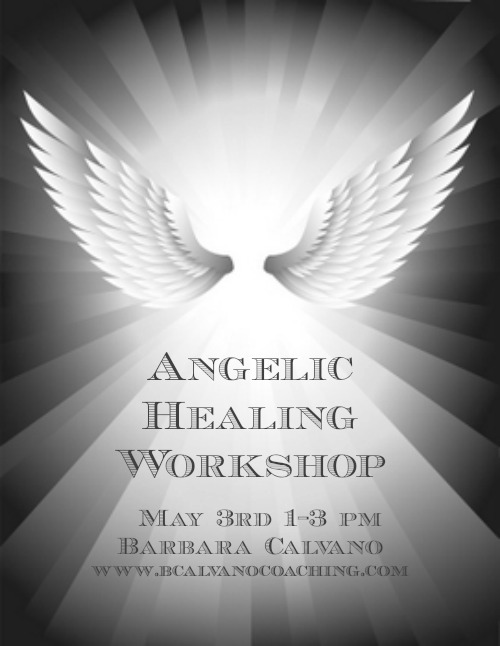 You will participate in a powerful sound healing meditation that connects with the archangel’s healing energy and balances your energy centers. You will experience and learn angel therapy healing techniques to protect and clear your energy and also learn to strengthen your intuition. You will come away empowered and energized by the angelic healing energy allowing for improved clarity, peace, energy and focus. 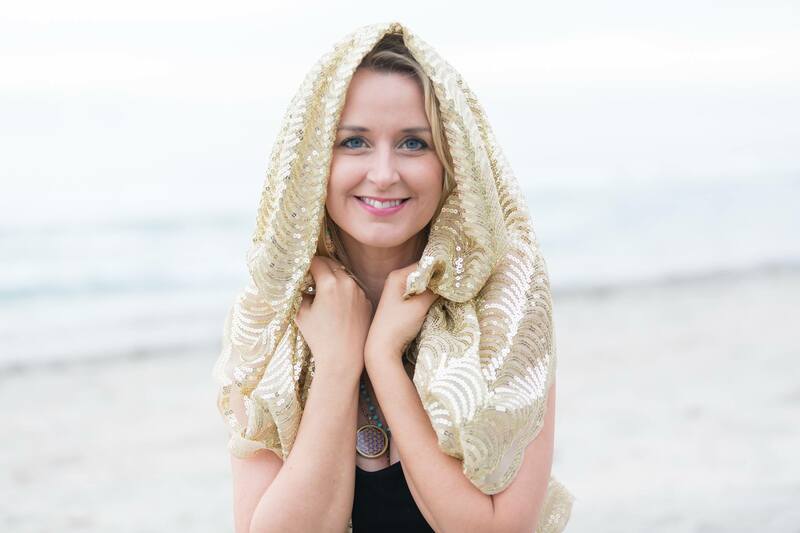 Join me on May 23rd at 1pm EST/10 PST on Blog Talk Radio with my special guest, Anu Shi Asta.